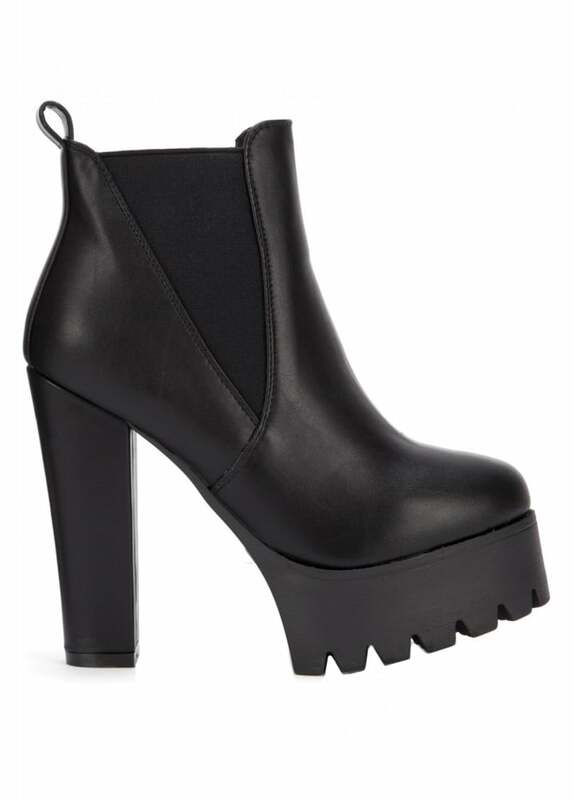 The Pull On Platform Ankle Boot are a fab pair of boots for all seasons. The animal-friendly boots has elasticated sides making them easy to pull on. The alternative boots have a 5" high heel and cleated platform sole.